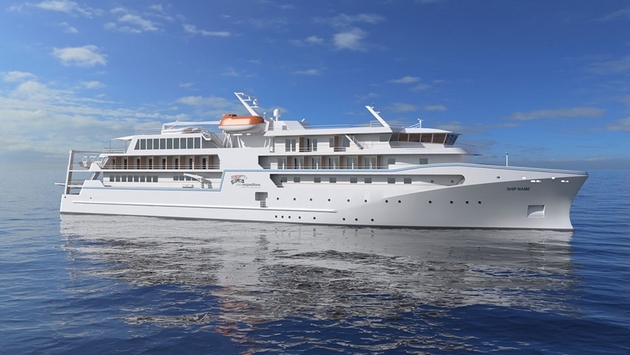 Coral Expeditions’ recently announced new ship now has a name. Visiting the coastal destinations Dutch explorer Abel Tasman first mapped in the 17th century, the Coral Adventurer will have a “In the trail of Tasman” theme on its inaugural journeys to New Zealand, New Guinea and Northern Australia. Reservations are open for the initial sailing, a 17-night cruise starting in Singapore on April 24th, 2019 and ending in Darwin, Australia. Thanks to its size, the intimate vessel will be able to reach remote areas like the volcanic island of Anak Krakatau in the Sunda Straits. Also showcased, will be unique destinations such as Komodo Island—home to the titular animal—and the coral gardens of Pulau Alor for exquisite snorkeling. After the initial cruise, a pair of 11-night sailings will embark from Darwin in May 2019 heading for the Gulf of Carpentaria, New Guinea and the Spice Islands and the Kimberley coast. Afterwards, the Adventurer will set sail between Broome and Darwin— a seasonal mainstay of Coral Expeditions for two dozen years. Pricing aboard the new ship will be similar to other Coral Expeditions products and will continue to be all-inclusive in nature. That means daily excursions, meals and drinks including beer and wine at meals will be complimentary. Developed by interior design firm Arkhefield of Brisbane, the vessel's tropical North Queensland look will pair well with the Norwegian furniture and maritime fixtures made with Australian wood, stone and fabric materials. In true expedition fashion, up to 120 guests will enjoy the private accommodations featuring French windows and balconies. Two 55-square-meter suites will even have bathrooms complete with picture windows. Elsewhere, bars and lounges will pamper passengers on the inside and outside decks for taking in the scenic vistas. There will also be an observation variety right in the heart of the navigation bridge, which is a Coral Expeditions signature element. That is to say the ship will have an open bridge policy with the means of relaxing as well. The Coral Adventurer is a reminder of a booming future expedition cruise market and equally wondrous destinations to experience.